Milkshake recipe – must need in this Chennai weather. Plan some milkshakes with seasonal fruits. 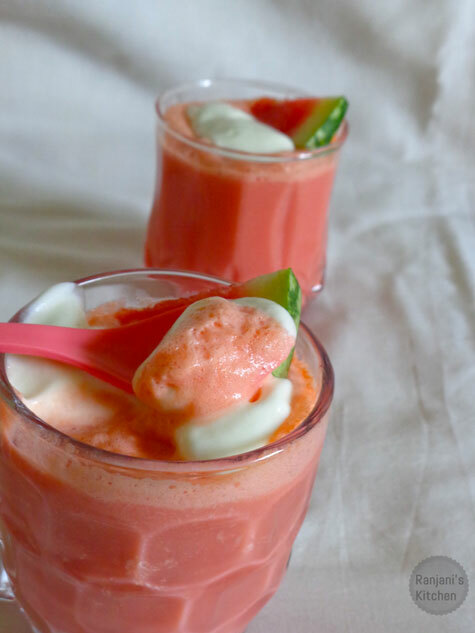 This is watermelon milkshake made in very simple and handy method. I added ice-cream for a creamy shake. You skip and prepare with milk alone. Cut watermelon, de-seed and cubed into pieces. 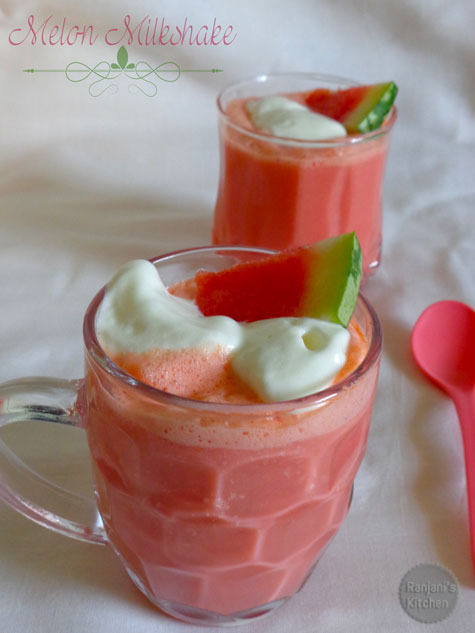 In a mixer, add melon cubes, sugar, chilled milk, 3 scoops of ice cream. Process it for 1 or 2 mins. Chill it n refrigerator before serving or serve mild chillness. Pour the shake in glasses, serve with a scoop of ice cream or simple shake. 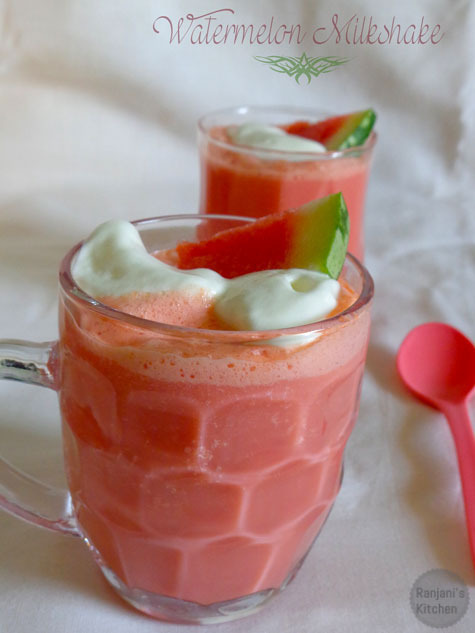 Add less amount of sugar, both watermelon and ice cream has sweetness. If you feel the shake is too thick, add extra milk. Wow! looks yummy, give a try soon. Thanks for sharing.